Be your most productive self by learning that there is more than one way to do things. I order what I know I like from restaurants, I usually take the same route to places I frequent, I have specific routines, and I don’t want you kids on my lawn. I like things done a certain way, mostly my way. Sometimes my way holds the team back though. My way isn’t the only way. My way works for me, but may not work for everyone else. You’ll be a better team player and co-worker if you let yourself learn more than one way to do things. Is culture the word we are looking for? Everyone is talking about culture, and I do mean everyone. Everywhere I look there is “culture this” and “culture that” from Sunday school to twitter, from twitter to the break room, from the break room to chapter SHRM meetings. What’s in a culture? Why is everyone so obsessed with it now? Culture doesn’t define what we do or what we want to do as an organization, our mission statement does. Culture doesn’t define how we accomplish our mission statement, standards do. I’ve jumped aboard the culture train myself and I even drove that train at a previous job, but maybe I just bought the hype? I believe Organizations WANT to define culture because they want to use it as a hiring tool. “You wouldn’t be happy here. You aren’t accustomed to the way we do things here.” Or “Come work for us, you’d be a perfect fit for our culture.” Something to consider here is that most organizations use the wrong thing to define their culture like activities, amenities and such. My question is simply this, was culture “defined” to discriminate in the hiring process? Was culture the idea that developed to weed out employees who would possibly become disgruntled or an excuse to let those disgruntled employees go. Is culture contagious? Before we started making a big deal out of culture did it just happen organically? Is “culture” hiring keeping us safe from diversity? Should culture be a qualification? At a previous job I can look back now and say I was not a fit for their culture, not even from day one. I didn’t know that before they hired me. Culture isn’t something that was marketed, it was an internal piece of the puzzle. To know that piece of the puzzle you had to be a part of the team; outsiders wouldn’t have been privy to any information that would’ve defined their culture. Without putting my finger on what was different I quickly went against it and because I did I was able to see faster success than anyone else in the organization. So, if the way I did things was so successful why couldn’t the whole organization adopt those ways and expand and improve those ways? A friend suggested “Because it wasn’t the culture or didn’t fit the culture?” BS. It’s BS because each office had its own culture, even though we were all working to fulfill the overall mission and vision statement of the company each location had. their. own. culture. I started out as one and a half in my branch, there wasn’t much of a culture to define. The ways I used that led my branch to success were not adopted because the other managers didn’t believe the extra work would pay off in the long run. I tell you this little story because your HR department and your recruiters can beg you to define a company culture until they are blue in the face, but it doesn’t matter. Your leaders within the company set the culture and those leaders will develop a culture based on the needs of their team and tasks. Each team that has a different leader could have a different, so-called, culture. How about as people develop professionally, do their values change as they learn new things? They can, right? So where does this move them on the culture plot? Do they outgrow the culture they are a part of? Do they disagree with the culture they are currently a part of? etc. etc. Let’s use a call center for an example: Group A does checking accounts and Group B does auto loans. Group A would define their culture as “working the biggest volume, being the fastest and the most efficient”. Group B is the last line of defense against recovery and would say their culture is “looking for solutions to keep you in your car”. Group A and Group B work for the same company, but tackle two completely different tasks. A one size fits all culture would fail here. All this to say, can you define a company wide culture and what good does that do you anyway? I don’t think you can control culture from the top down, but what you can control is the mission of the organization. So tell me, does your company have a defined culture? Does your hiring process benefit from this defined culture? 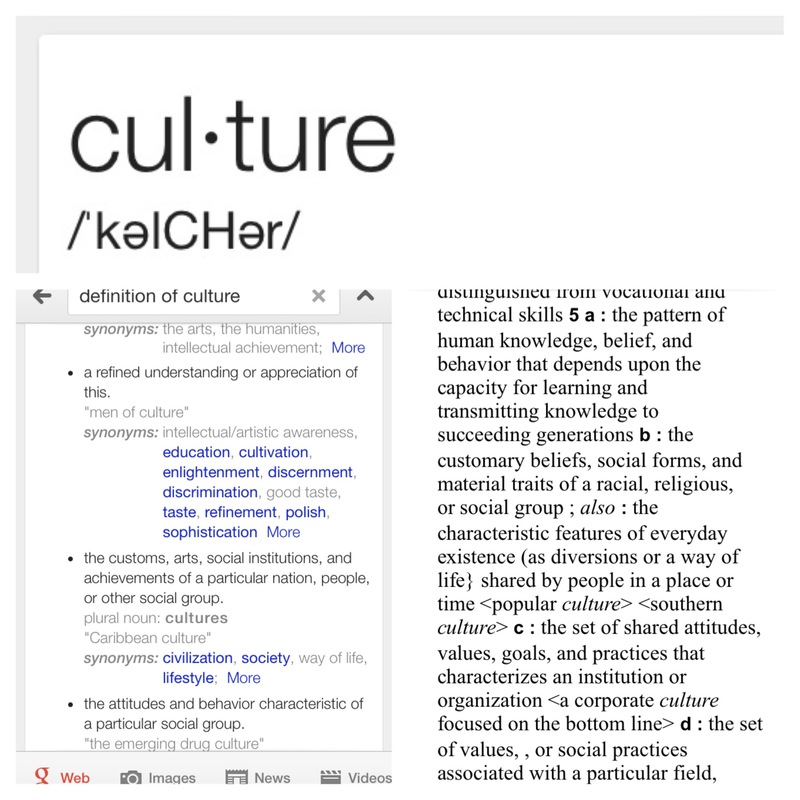 Author Kristina H. Minyard, SHRM-CP, PHRPosted on February 13, 2014 February 13, 2014 Categories UncategorizedTags Culture, Hiring, process, RecruitingLeave a comment on Is culture the word we are looking for?